Get involved! If you’re looking to meet and connect with other players, here is a (non-comprehensive) list of both official and unofficial community groups for Guns of Icarus Online. If you discover a link that is out of date or you have an unofficial group that you would like to see listed here, please contact feedback@musegames.com! 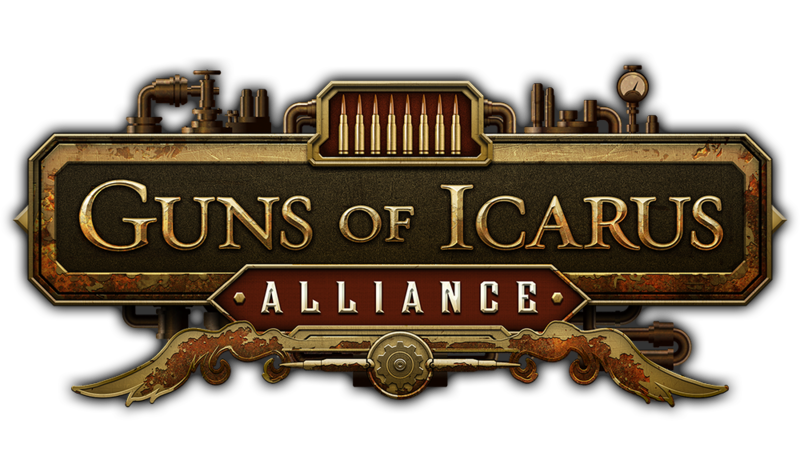 The Guns of Icarus Community and development team host a wide variety of in-game events and streams. Take a look at our schedule to tune-in and even participate! If you choose to have your item on PS4, it must be free to all PS4 players. This does not exclude monetization on PC, though. Still interested? Click here for the instructions! Our Community Ambassador program (CA for short) is a way for our most active and dedicated players to help out and get more involved with the community. CAs are volunteers drawn from the community and are there to welcome new players, answer questions, and communicate with both players and the Muse Games team. If you have questions, don’t hesitate to contact a CA for help! You’ll be able to recognize CAs by their “Community Ambassador” role title in groups and forums, and they’ll have a CA tag next to their names when you meet them in-game. WHAT IS A COMMUNITY AMBASSADOR? A Community Ambassador is an outstanding community member, a teacher, a helper, and an evangelist for Guns of Icarus Online. CAs are passionate about the game and eager to share that passion, welcoming members into the community and helping new players get started. CAs are helpful guides in our community providing knowledge and help about anything players are curious about, they also help bridge the connection between the development team and the community for information and announcements! CAs are sometimes provided the opportunity to offer support in testing or hosting promotional events for the game. Most importantly, CAs are community leaders and role models. We’re a really small team, and managing a large online community is a big undertaking. We believe that a community for the fans should be run by the fans. If we can empower our players to grow the community and help one another other out, we can focus on making the game great! SO YOU WANT TO BE A COMMUNITY AMBASSADOR? We’re looking to find the kind of people who are already exemplars of the community and eager to help make it even better. If you’re a mature, responsible, active contributor who’s willing to dedicate your time to helping others and sharing your love of the game, we think you might make a great Community Ambassador! If you think you have what it takes and are ready to apply, fill out your application here! The Guns of Icarus Online Community Standards are a set of rules and guidelines that we have developed to establish a common understanding of appropriate behavior in the game, on the Guns of Icarus Online official forum and website, and on any other social networking group or communication channel established and maintained by Muse Games for the Guns of Icarus Online community. 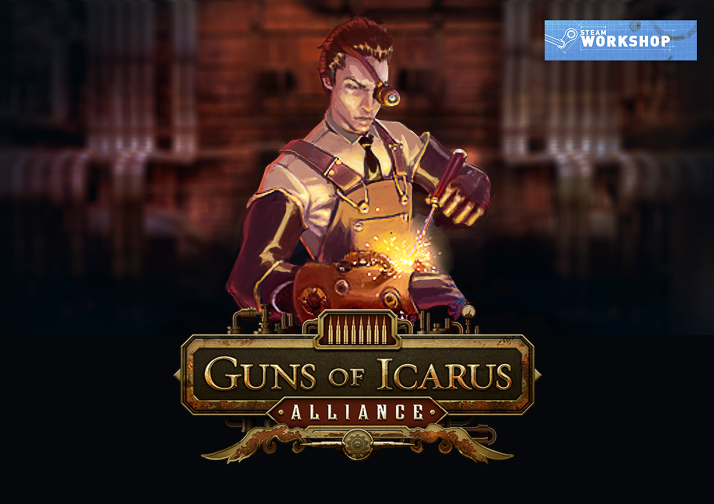 Guns of Icarus Online is a cooperative and competitive multiplayer game that relies heavily on teamwork and communication, and we believe that the strength and quality of the community is of paramount importance to the Guns of Icarus Online experience. We strive to ensure that Guns of Icarus Online remains a welcoming, safe environment where players can expect respectful engagement and meaningful interaction with a high ratio of signal to noise. This means that abusive, disrespectful, harassing, spammy, or disruptive behavior, as outlined below, will not be tolerated. Please note that while we aim to maintain a safe, relatively clean environment, we do not consider Guns of Icarus Online “family-friendly” or “all-ages-appropriate.” We serve a diverse audience and do not seek to limit respectful, mature player expression that is not excessively, offensively, or disruptively profane. Children under 13 years of age should not play Guns of Icarus Online. The following is a non-exhaustive list of prohibited behaviors. Engaging in these behaviors will lead to appropriate corrective actions being taken, including private warnings, editing or removal of offensive content, temporary suspension of account, and permanent banishment from the game and/or forums. You may not use any sexually explicit, harmful, threatening, abusive, defamatory, obscene, hateful, racially or ethnically offensive language. You may not attempt to communicate these by any means, including but not limited to masking, acronyms, abbreviations, innuendo, or languages other than English. Trolling or harassment includes personal verbal attacks, insults, communicating or behaving in a manner which is offensively coarse, intimidating or threatening, making unwelcome sexual advances, or engaging in other activities intended or likely to cause disruption, annoyance or alarm. You may not harass, threaten, or troll other players or representatives of Muse Games. You may not organize or be a member of any player associations or groups within Guns of Icarus Online that are based on, or espouse, any racist, sexist, anti-religious, anti-ethnic, anti-gay, or other hate-mongering philosophy. Excessive, content-free, commercially oriented, fraudulent, or annoyingly repetitive or attention-seeking communications, including rapidly repeating the same message or excessive use of ALL CAPS, will be considered spam. You may not spam or post commercial content. You may not cheat or knowingly exploit bugs or loopholes to unfairly gain points or items, advance in an unintended manner, or unbalance the game. You may not communicate the existence of exploitable bugs or loopholes to other players, either directly, indirectly, or through public posting. 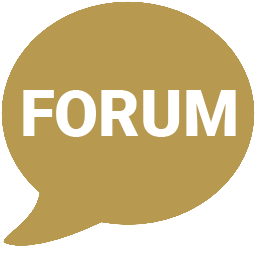 You may not exploit, hack, or attempt to find weaknesses in any of our associated services, including the game servers and forum servers. You should immediately report instances of cheating, hacking, or any exploitable bugs or loopholes you discover to abuse@musegames.com. You may not reveal or share unpublished personal information about other players or representatives of Muse Games, including gender, religion, age, marital status, race, sexual preference, alternate account names, real-world location, or contact information, or share or publicize private communications, including DMs/PMs or private chatlogs, without their express consent. You may not impersonate any other player or a representative of Muse Games, including using similar or identical user or character names or misappropriating tags meant to identify community ambassadors or Muse Games employees, in an attempt to confuse, mislead, or deceive others. Have offensive or racial, ethnic, or national connotations. Include hate speech or bigoted slurs. Reference sexual acts or real-life violence. Make inappropriate references to anatomy or bodily functions. Include or resemble the real names or handles of Muse Games employees or representatives. Include or resemble official roles (Muse, GM, Mod, etc.) such that they might mislead or confuse. Use misspellings or alternative spellings of names that violate any of the above rules. Names restricted by this policy will generally be subject to these restrictions, no matter whether the names are inappropriate in English or any other language. If a name is reported to us and is found to be in violation of the guidelines above, we will reset the offending name(s) and you will be issued a warning. Repeated violations may lead to temporary or permanent account suspension, at our discretion. This policy may not cover all inappropriate or disallowed names. We reserve the right to reject any name we conclude is indecent, obscene, offensive or otherwise violates our naming policy or the Guns of Icarus Online Community Standards. We generally will change names only when they violate this policy or our User Agreement. You can rename yourself at any time by going to social in the top left of the main menu. You may rename yourself twice for free and after that there will be a small charge. This is to promote players becoming a more permanent feature in the community and to treat their name with respect. 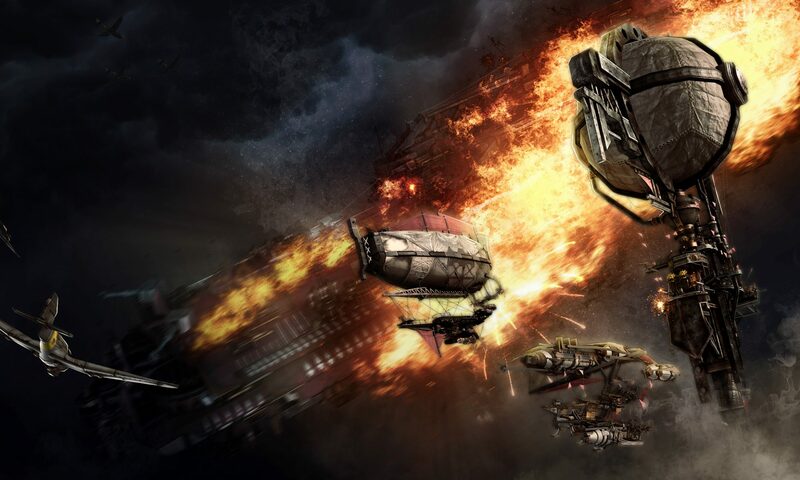 Violations of the Guns of Icarus Online Community Standards can be reported by e-mailing abuse@musegames.com. This site is a work in progress. Old content is slowly being ported. Thank you for your patience.